David and I are in Bologna for Il Cinema Ritrovato. Once again there is an overwhelming choice of films on offer, demanding a patient acceptance of the fact that one cannot possibly see anything close to everything one wishes. Careful planning can only do so much. If there is anything I have learned from the films in the first half of the festival, it is that one should not leave home. In the earliest surviving Mizoguchi Kenji film, The Song of Home (1925), a talented but impoverished young man accepts the idea that staying in his village is best for both himself and Japan. Nearly thirty years later, Girls in the Orchard (dir. Yamamoto Kajiro, 1953), the heroine must choose between going to Okinawa with her fiancé or marrying a man who can help her maintain her family’s traditional pear farm. Naturally, she makes the right choice. 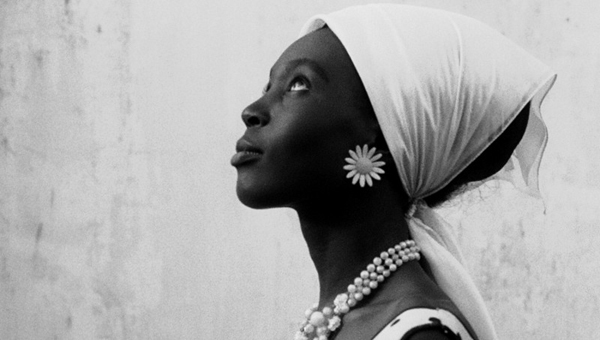 The heroine of Ousmane Sembène’s first feature, the pioneering Senegalese film La noire de … (aka Black Girl, 1966) leaves her home country for France and the better life she dreams of, only to find herself virtually imprisoned working as a maid in Antibes. The lesson is clear, and yet those of us who have ventured from around the world to Bologna are all the better for it. Color films have always featured on the program at Bologna, but this year various processes are on display in more threads than usual. While the past three festivals have offered a lengthy retrospective of early Japanese found films, this year’s it’s early Japanese color films. There are vintage Technicolor prints in one series, restored color from the silent era in several threads, and eye-poppers like Cover Girl among the restorations being shown off by various archives and labs. 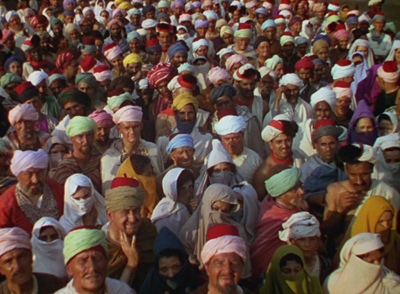 The first screening on the opening afternoon of June 27 was The Thief of Bagdad–not the Fairbanks silent but the 1940 British version co-directed by Ludwig Berger, Michael Powell, and Tim Whelan. I must have been one of the few in the vast Arlecchino theatre who had never seen it, even in a faded 16mm print. Some were there to recapture the fond memories of their youth. As a “vintage” print, it had an odd history. This was not a vintage re-release print, as some of us expected. It stemmed from the 1990s chemical restoration which was subsequently digitally scanned. The images looked like the Technicolor films of my youth (not quite the 1940s, but at least the 1950s). It was a relatively early film using the three-strip Tech process, which had really only reached its ideal form in Hollywood as recently as 1939, with The Wizard of Oz and Gone with the Wind. This print had the eccentricities of the three-strip process. Some shots had poor registration, with red and green rims around the characters, while others were in perfect alignment. The matte lines for the numerous fantastical effects (flying horse, giant jinn, flying carpet) were very obvious, and the color changed suddenly for every dissolve. The print was probably not a bad indication of what audiences would have seen at the time. The design certainly took advantage of the color process, with numerous false-perspective sets and costumes carefully arranged to show off the range of bright hues that Technicolor could achieve (above). As for the film itself, it is extremely charming without being one of the masterpieces of the era. It suffers from having a bland pair of actors as Ahmad and the princess who loves him, and Sabu is perhaps a trifle too irrepressible as the titular thief, Abu. Miles Malleson, the comic character actor who co-scripted the film, steals the show as a Sultan so obsessed with elaborate mechanical toys that he trades his daughter to the villainous Jaffar (Conrad Veidt, acting rings around much of the cast) for the flying horse. It was an epic in its day and perhaps helped give rise to the many Technicolor fantasies of the 1950s. 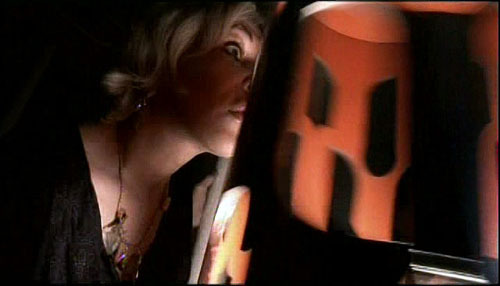 A different sort of range was shown off in a program of silent films restored by the EYE Filmmuseum of the Netherlands. These included hand coloring, as in a 1915 short documentary preserved under its English title, Dutch Types, primarily consisting of shots of villages and schoolchildren. A 1913 Italian film La falsa strada (dir. Roberto Danesi) was a tinted print. It starts off with a familiar situation of an opera singer giving up the stage to live a quiet life on her rich husband’s country estate. One might expect a young lover to rescue her from her boredom, but instead her very lively show-business friends from the city visit and cause the husband to be jealous of the singer’s apparent preference for their company over his. Unfortunately the final reel was missing. 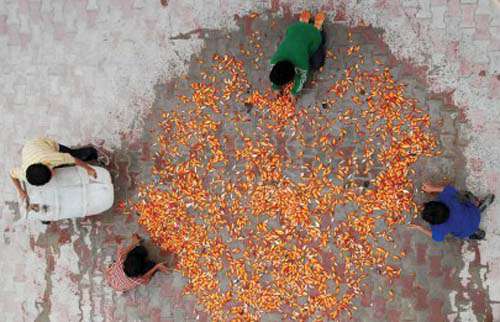 Even more incomplete was Una notte a Calcutta (dir. Mario Caserini, 1918, right). Only a couple of scenes totaling eleven minutes survive, but they show off the talents of diva Lyda Borelli and suggest that the settings and costumes for this otherwise lost film were impressive. The emphasis on color promises to continue next year, as with the hints dropped concerning further early Japanese color films to come on a second program. Following a long-established tradition, the festival includes a retrospective of a Hollywood director, Leo McCarey. Having seen quite a few of the films on offer, I haven’t followed this thread faithfully. I fondly remembered Ruggles of Red Gap (1935) from a single 16mm viewing many years ago, though, and decided to watch it. I was glad I did. For a start, it was a mint 35mm print and a joy to watch. 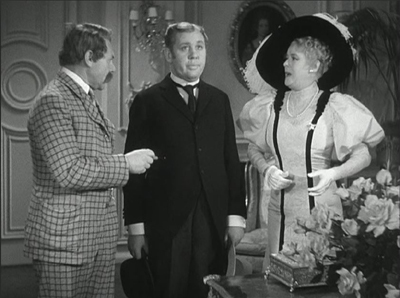 Moreover, I had remembered Charles Laughton’s performance as hopelessly mannered and eccentric. This time I caught many of the subtle gestures and glances that he used to convey the thoughts of a character who, at least in the early scenes, speaks little and then only very formally. The supporting cast is ideal for the witty script that condenses the overly long original novel. I always try to see the latest films restored by the World Cinema Project, which aims to save important movies made in countries that do not have the archives or resources to protect them. This year the films were La noire de …, Sembène’s first feature, Ahmed El Maanouni’s Moroccan film, Alyam Alyam (aka Oh the Days, 1978), and Lino Broca’s Insiang (the Philippines, 1976). La noire de … deals with the post-colonialist effects of French rule in Senegal, with the heroine Diouana (below) eager to visit the France of her dreams. Once there, she is never allowed to leave the apartment of the French couple who has employed her; they told her she was to care for their children, but she is relegated to household tasks. Our friend Peter Rist recalled seeing this film with a color sequence, but this was not included in the restoration. The informative panel introduction to the film, led by Cecilia Cenciarelli of Project, revealed that a sequence showing Diouana’s arrival in Marseilles was shot in color. The idea was to show the heroine’s hopeful view of her new country, contrasting with the black and white of the rest of her film as that hope dissipates. Cenciarelli said that there is no clear evidence that Sembène intended this color scene to be part of the final film. If it survives, it would make a valuable supplement to a future home-video release. Going from Ruggles of Red Gap to Insiang was an experience in contrasts of the sort one often has here. Insiang is the film’s heroine, a laundress living in a Manila slum. 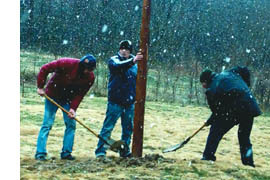 The film was shot in a poverty-stricken area and incorporates many candid shots of children playing in mud and puddles. Much of the action involves shiftless young men who drink and gossip as the women around them do most of the work (above). Against this reality-based milieu, Brocka sets an extremely melodramatic story of Insiang and her mother competing for the affections of the same wastrel. One suspects that Brocka was trying to make his grim film palatable to a broader audience, but the film was a financial failure. Maanouni took a very different approach for Alyam Alyam. There is a minimal plot about a young peasant earning money to travel to France or the Netherlands for work. 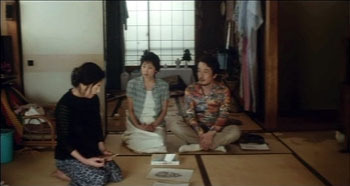 This character and his mother and grandfather, who strenuously object to be his perceived desertion of them, appear at intervals through the film. Most of the scenes, however, are poetic views of village life, evoking both the back-breaking labor of the countryside and the beauty of its traditions. In introducing the film, Maanouni said that he wanted to question why Morocco cannot provide the opportunity and incentive to keep young people from leaving. 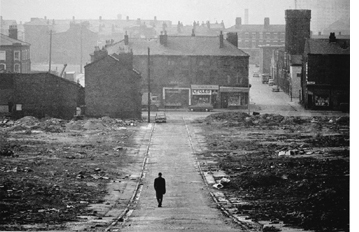 By emphasizing a lyrical depiction of the countryside and the impossibility of earning anything but a subsistence wage, he makes vivid the sad waste of the nation’s potential–a problem that has persisted for decades since the film was made. The one theme that persists from festival to festival is the thread of re-discovered and restored films. The screenings and, increasingly, the panels and lectures on archival methods, reminds us of how expensive and difficult this process is and how much work goes on each year. 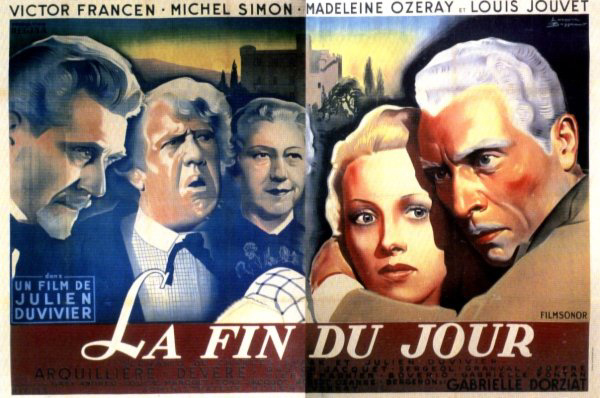 The main film I have seen so far among the restorations is Julien Duvivier’s little-known 1939 film, La fin du jour. (A restoration of his more famous Le belle equipe, 1936, was also shown this year.) It’s the story of a group of actors living in a chateau supported by private charities and dedicated to taking care of aging thespians. They play out their individual dramas against the backdrop of a threatened bankruptcy of the home and a dispersal of its inhabitants to various government hospitals across the country. There are three primary stories. Cabrissade (Michel Simon) maintains his claim to dramatic fame despite having been only an understudy, and that to a star who never missed a performance. Now entering the home and disturbing its equilibrium is Saint-Clair (Louis Jouvet), an unrepentant seducer and liar. Marny (the less famous but excellent Victor Francen) is a successful actor depressed over his wife’s death, perhaps by suicide, after she ran away with Saint-Clair. There are numerous small plotlines played out by skilled character actors of the era. The ensemble is interwoven in an impressive example of the “Cinema of Quality,” here practiced by scriptwriter Charles Spaak in collaboration with Duvivier. The tale briefly becomes maudlin toward the end but overall is a touching and often funny depiction of old age among a group particularly reluctant to face that time of life. In the second half of Il Cinema Ritrovato, I’m concentrating on a small retrospective of Iranian cinema of the 1960s and 1970s, as well as a long-awaited restoration of Satyajit Ray’s Apu Trilogy. David’s book Figures Traced in Light discusses how The Song of Home displays Mizoguchi’s early mastery of Hollywood-style staging and cutting, before he went on to try considerably different techniques. Thanks to Manfred Polak for a correction regarding La noire de … His blog entry on the film is here. La noire de… (Ousmane Sembène, 1966). 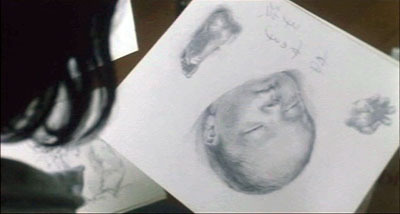 Useless (Jia Zhang-ke, China, 2007). I’m so taken with José Luis Guerin’s En la ciudad de Sylvia (Spain/ France) that I’ll be devoting a separate blog entry to it soon. At Vancouver it was projected with his Unas fotos en la ciudad del Sylvia, a remarkable sketchpad for and rumination on the feature. Rubbed together, the two films throw off sparks. En la ciudad is in color and very tightly constructed, Unas fotos consists of hundreds of black-and-white stills linked by associations and intertitles, with no sound accompaniment. Guerin, an admirer of Murnau, says that as a young man he watched old films in “a sacred silence” and he wanted to try something similar. Unas fotos may not be factual—call it a lyrical documentary—but it illuminates En la ciudad in striking ways and is intriguing in its own right. Structured as a quest for a woman the narrator met 22 years ago, the film moves across several cities and invokes as its patrons Dante and Petrarch, each of whom yearned for an unattainable woman. But this isn’t exactly a photo-film à la Marker’s La jetée; it uses dissolves, superimpositions, and staggered phases of action to suggest movement. The subjects? Dozens of women photographed in streets and trams. Some will find a creepy edge to the movie, but it didn’t strike me as the obsessions of a stalker. Guerin becomes sort of a paparazzo for non-celebs, capturing the many looks of ordinary women. Watch this space for more on the many looks of Sylvia. For now, more Asian highlights from Vancouver. Johnnie To and Wai Ka-fai have reunited for The Mad Detective (Hong Kong), which is as off-balance as you’d expect from its premise. Evidently spun off those TV series that feature telepathic profilers, the film stars Lau Ching-wan as a detective who solves cases by intuiting crooks’ “inner personalities.” We’re introduced to him crawling into a suitcase and asking his partner to throw it downstairs. After a few bumpy descents, he flops out and names the man who packed up a girl’s body the same way. Soon Lau is mentally reenacting a convenience-store robbery, and To/Wai cut together various versions of it as he plays with the possibilities. Years after Lau leaves the force, his partner brings him back as a consultant to another case. By now, though, our mentalist has gone mental. The filmmakers get comic mileage, and some genuine poignancy, out of intercutting his hallucinations with what’s really happening. Lau envisions multiple personalities within the man they’re hunting, and as he traces out clues each personality flares up. To and Wai carry their dotty premise to a vigorous climax that multiplies the mirror confusions of both Lady from Shanghai and The Longest Nite. The brilliant sound designer Martin Chappell is back on the Milkyway team, making the effects and music magnify Lau’s heroic disintegration. Lee Chang-dong, of Peppermint Candy and Oasis, has won his widest acclaim yet with Secret Sunshine (Korea). As your basic domestic crime-thriller Born-Again-Christian female-trauma melodrama, it’s undeniably gripping. Secret Sunshine earns its 130-minute length, because Lee needs time to do several things. He traces the assimilation of a widow and her little boy into a rural town. Then he must follow the remorseless playing out of a harrowing crime. He makes plausible her succumbing to fundamentalist Christianity and her growing conviction that she needs to forgive the criminal. And there are more changes to come. For me the most unforgettable moment was the heroine’s appalled confrontation, in a prison visiting room, with the man who wronged her. His unexpected reaction dramatizes how religious faith can cultivate both emotional security and an almost invincible smugness. Jeon Do-yeon won the Best Actress award at Venice for her nuanced performance, and Song Kang-ho, best known for The Host and Memories of Murder, lightens the somber affair playing a man of indomitable cheerfulness and compassion. 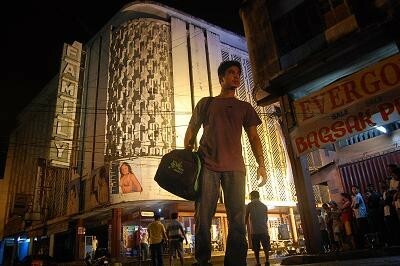 I found Brillante Mendoza’s Slingshot (Philippines) quite absorbing. 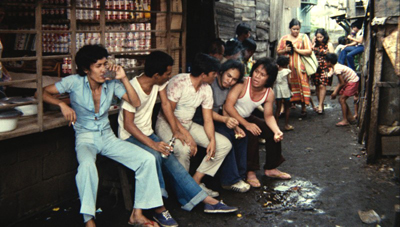 Hopping among various lives lived in the Mandaluyong slums, it’s shot run-and-gun style, but here the loose look seems justified by both production circumstances and aesthetic impact. 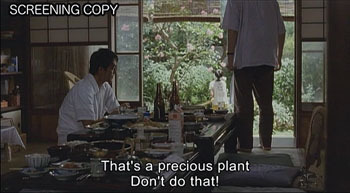 It was filmed on actual locations across only 11 days, and though it feels improvised, Mendoza claims that it was fully scripted and the actors were rehearsed and their movements blocked. 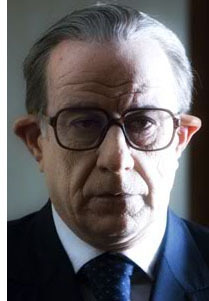 Most of the actors were professionals, intermixed with non-actors—a strategy that has paid off for decades, in Soviet montage films and Italian Neorealism. Slingshot reminded me of Los Olvidados, both in its unsentimental treatment of the poor and its political critique, the latter here carried by the ever-present campaign posters and vans threading through the scenes. I suspect that the final shot, showing an anonymous petty crime accompanied by a crowd singing “How Great Is Our God,” would have had Buñuel smiling. Off to China for Fujian Blue by Robin Weng (Weng Shouming). The setting is the southeastern coast, a jumping-off point for illegal immigration. The plotline has two lightly connected strands. In one, a boys’ gang tries to blackmail straying wives by photographing them with boyfriends, going so far as to sneak in homes and catch the couples sleeping together. The other plot strand presents Dragon, a boy who’s trying to sneak out of China and make money overseas. 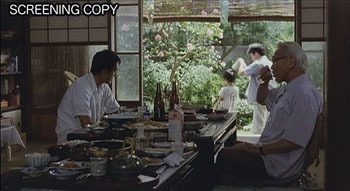 The whole affair is reminiscent of Hou Hsiao-hsien’s Boys from Fengkuei, and in Dragon’s story we can spot overtones of Hou’s distant, dedramatized imagery. Yet Weng adds original touches as well, including an almost subliminal ghost of London across the blue skies of the China straits. Fujian Blue shared the festival’s Dragons and Tigers Award with Mid-Afternoon Barks (China) by Zhang Yuedong. 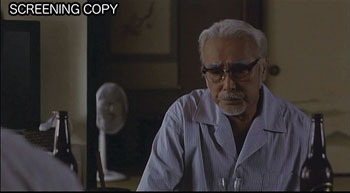 The two films are very different; if Weng echoes Hou, Zhang channels Tati and Iosseliani. (When I asked him if he knew the directors, he didn’t recognize the names.) Mid-Afternoon Barks is broken into three chapters. In the first, a shepherd abandons his flock and wanders into a village. An unknown man shoots pool. Dogs bark offscreen. The shepherd shares a room with another visitor, but midway through the night, the innkeeper orders them to put up a telegraph pole. When he awakes, the man is gone, and so is the pole. He wanders on. In the second episode . . . But why give away any more? In this relaxed, peculiar little film Beckett meets the Buñuel of The Milky Way and The Discreet Charm of the Bourgeoisie. As the enigmatic men without pasts or even psychologies wound their way through the long shots, Zheng’s quietly comic incongruities won me over long before the last dog had barked and the last ball had bounced. Jia Zhang-ke is known principally for fiction films like Platform, The World, and Still Life, but from the start of his career he has shown himself a gifted documentarist as well. 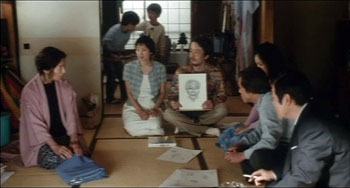 His In Public (2001) is a subtle experiment in social observation, and Dong (2006) made an enlightening companion piece to Still Life. Useless is more conceptual and loosely structured than Dong. Omitting voice-overs, Useless offers a free fantasia on the theme of China as apparel-house to the world. 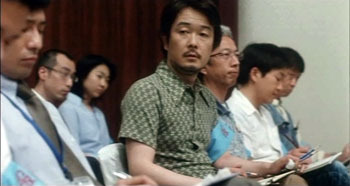 The first section of the film presents images of workers in Guangdong factories as they cut, sew, and package garments. Jia’s camera refuses the bumpiness of handheld coverage; it opts for glissando tracking shots along and around endless rows of people bent over machines. 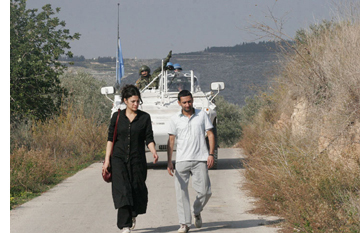 (Now that fiction films try to look more like documentaries, one way to innovate in documentaries may involve making them look as polished as fiction films.) Jia also gives us glimpses of workers breaking for lunch and visiting the infirmary for treatment. In a second section, Useless follows the success of a fashion house called Exception, run by Ma Ke. Her new clothing line Inutile (Useless) consist of handmade coats and pants that are stiff and heavy, almost armor-like, and that flaunt their ties to work and nature. (Some outfits are buried for a while to season.) Ending this part with Ma’s Paris show, in which the models’ faces are daubed with blackface, Jia moves back to China and the industrial wasteland of Fenyang Shaoxi. There he concentrates on home-based spinning and sewing. Neighborhood tailors patch up people’s garments while the locals descend into the coalmines. A former tailor tells us that he gave up his work because large-scale clothes production rendered him useless. Jia’s juxtaposition of three layers of the Chinese clothes business evokes major aspects of the country’s industry: mass production, efforts toward upmarket branding, and more traditional artisanal work. Without being didactic, he uses associational form to suggest critical contrasts. The miners’ sooty faces recall the Parisian models’ makeup, and their stiff workclothes hanging on a washline evoke the artificially distressed Inutile look. What, the film asks, is useless? Jia shows industrial China’s effort to move ahead on many fronts, while also forcefully reminding us of what is left behind. Thanks to Alan Franey, PoChu AuYeung, Mark Peranson, and all their colleagues for a wonderful festival. They’re so relaxed and amiable, they make it look easy to mount 16 days crammed with movies. Be sure to check on CinemaScope, the vigorous and unpredictable magazine that makes its home in Vancouver. It gives you many gems online, but it’s well worth subscribing to. Alan Franey, Director of the Vancouver International Film Festival; PoChu AuYeung, Program Manager; and Mark Peranson, Program Associate and Editor of Cinema Scope.